Teaching French can be an arduous process. Why not make it fun with these flashcards? Play around the world, Zut, and other fun games to help students learn and remember. 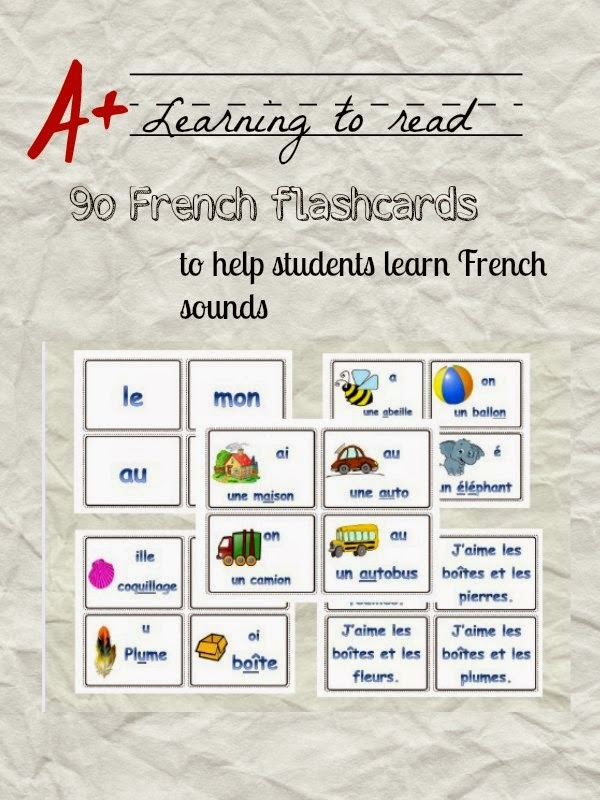 Les sons – from my Learn to Read series features 96 flashcards to help students learn French. The cards teach students the different sounds as well as vocabulary with pictures to facilitate the reading process.